I feel kind of dirty posting this in the lawn care equipment forum but it is a small engine so someone might have some insight on this. I have an Ariens two-stage compact snow blower and it runs great except it spills snow to the left from the auger housing(?) when it’s pushing forward. This only happens on the left side, and not on the right side. Even if I only cut in about a quarter of the way into the snow it still spills over and then I have to go back and scoop them up with a shovel. What can I check to resolve this? It came assembled in the box but I did have to calibrate the skid height and realign the front part with the chassis so I bet it’s something easy I’m overlooking. i assume you have already checked the shear pins, but if not I suggest doing so. I have an Ariens. The only time I have noticed it do this is when the shear pin is broken. With the machine off see if you can spin the front impeller. They should not move much, but if your shear pin is broken the impeller will spin around the shaft. YouTube has videos if you have never changed a shear pin. It is a pretty easy task. The problem appears to be living somewhere that receives snow - I would wait for the next big storm and sell it at peak demand price, and put that money towards a moving truck! Sounds strange. I don't have any advice (sorry) but can only confirm that is not at all normal. My deluxe 24 doesn't spill a single flake even when taking on a swath 90+% the width of the blower. Keep us updated, though, just in case it ever happens to me! Thanks! I'll check the shear pins when I get home tonight. We're due for a good snowfall overnight tonight. Shear pins seem pretty sturdy. I can't freely spin the auger. Being it’s a duel stage, make sure the impeller at the rear of the auger is spinning freely. You’d have to have someone engage the auger and you look to make sure the impeller is spinning freely and at a normal speed. If you only have the auger spinning and not the impeller you will get a poor throwing snowblower. Last edited by SNOWBOB11 on Tue Feb 12, 2019 12:22 am, edited 1 time in total. @kds Another thing to check is to make sure the left side horizontal auger is facing the correct direction. Looking at the augers from the front, both top edges of the horizontal auger should be facing each other - inwards toward the impeller. The machine may have been assembled incorrectly, or taken apart and put back together backwards. Either way, make sure they are facing inwards so when the auger is spinning it feeds the snow from the sides to the middle. If it is assembled incorrectly, the side facing the wrong way will simply push snow away from the impeller and spill it out whichever side it is facing. Side note, while research a new snowblower a few years ago I of course was on a snowblower forum. Someone noticed a major manufacturer, Husqvarna I believe had a picture of a snowblower on their main website with the auger assembled incorrectly just like I described above. I am sure most people didn't notice, but I would still be embarrassed! I think I’m going to break from tradition here and say I think that’s behavior within the realm of normal. I wouldn’t be troubled by that little amount of spillage. The snow shooting out the side doesn’t look too bad but it’s more than what there should be. The auger looks to be on the right way and the impeller is spinning. Not really sure what to say as it looks like everything on the snowblower is how it should be. Sorry I wish I could be more help and pin point the issue. Last edited by SNOWBOB11 on Tue Feb 12, 2019 5:37 pm, edited 1 time in total. Is the exit chute at 90 degrees? If you try at 70 degrees, is it the same? Based on that video clip, it doesn't seem like the snow is actually spilling out to the side. Yes, the snow is being agitated or whatever, but as long as it's eventually getting sucked up, does it matter? 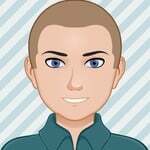 That's basically what mine looks like - nothing is truly spilled out the side. Edit: OK, I watched a couple more times and I do see true spillage in your video now. I don't have any if that. So I'd agree with you that that shouldn't be happening. Last edited by stotea on Tue Feb 12, 2019 10:55 pm, edited 1 time in total. Could the impeller be ejecting snow from the front? That would explain the left side only. Did you do the impeller gasket modification? As the Compact is shorter in length, could the auger housing be shorter as well, adding to the issue? That being asked, I own both Toro and Ariens snowblowers as a homeowner and I would consider that amount of side discharge as acceptable. The snow being blown in the video seems light, fluffy, and not too deep, which would only add to the problem. I would use my Toro to blow that snow after pushing it to the sides of the driveway with a Manplow. I use the Ariens for the heavier stuff and end of driveway plow piles. It is possible that you have a slightly bent blade. The shear pin is suppose to break before that happens but sometimes those pins can be tough. Also if it's wet, sticky snow, you could be out running the impeller and then snow will tend to spill from the front housing. In some conditions, wet snow can build up and choke the impeller discharge opening. Maybe a still photo of the front housing and auger? Last edited by MasterMech on Wed Feb 13, 2019 7:25 pm, edited 1 time in total. Yeah, the chute to the left, center, and right all exhibit the same symptoms unfortunately. Could be, I'll find an observer to get a close-but-not-too-close look at the front when I'm clearing snow next time. I didn't modify the impeller gasket. That being asked, I own both Toro and Ariens snowblowers as a homeowner and I would consider that amount of side discharge as acceptable. The snow being blown in the video seems light, fluffy, and not too deep, which would only add to the problem. Yeah, I agree maybe I'm being a bit picky about it but I don't want to have to go back over where I just cleared with another piece of equipment. It's a time efficiency thing. I still had the same trouble with a wetter snowfall a couple of weeks ago, though the wind combined with the light texture of the snow this go round didn't help. The problem wasn't any worse this time but it wasn't any better, either. I'll take a look at that tonight. That would be unfortunate if that's the case since this is the first year I've really gotten any use out of it so it may have been damaged goods before it even got loaded into my truck. We didn't get much snow until this season and I was going to trade down to a single-stage blower so it would have been a moot point, so if I decide to keep it I may just have to bite the bullet and take it to an Ariens shop for a look. As snowblowers go, I've used a few different brands at work: Toro, Cub Cadet and John Deere. I own an Ariens Compact 20. What you're experiencing is something generally common amongst snowblowers. There always seems to be some residual that "gets away". I'm sure that's not what you want to hear, but that's my experience. It looks like a tiny bit of snow is clinging to the auger momentarily, before it is flung out front. There is one product you could try, if you haven't done so yet. 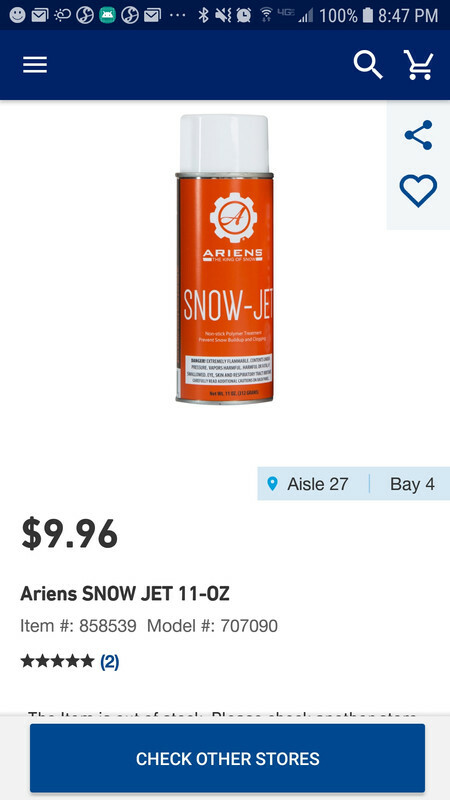 Ariens makes a slick spray coating called "Snow Jet", which works pretty well, for me (I bought mine at Lowes). Maybe it would reduce sticking to the auger a smidge, thus allowing a little extra snow to be moved towards the impeller and ejected out of the chute. No guarantee, but worth a try IMHO. In any event, it helps to prevent sticking, especially with wet, slushy snow.